In today’s technology driven world, more and more people are using their mobile phones while behind the wheel. However, as we all know, the repercussions of such a decision can too often be fatal. According to Ireland’s Road Safety Authority, drivers are four times as likely to crash while on their phone, while driver distraction is thought to contribute to 20-30% of all road collisions. Though many of you might not like the idea of switching off your phone during car journeys, there are lots of various electronic gadgets available that allow you to still take calls, while also ensuring your safety and the safety of those around you. Weighing just under an ounce, the Kenu Airframe + is a portable grip device that attaches to the air vent in your car, holding your phone in place and allowing you to dial and receive hands free calls. The simple and elegant design works with all vent types and it also has an expandable grip for larger smartphones that have a screen size of 6″ or less, perfect for your iPhone 6 or Samsung Galaxy. Unlike previous models, the Airframe + can now accommodate oversized phone cases like the Otterbox Defender and Mophie battery cases. As well as facilitating hands free calls, the Airframe + also allows you to stream your music directly from your phone, allowing you to enjoy all of your favourite tunes in a safe and secure way. 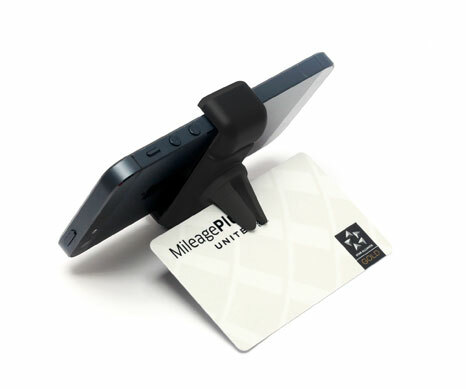 Insert your credit card into the device’s rotating clip and the Airframe + is instantly transformed into a hands free stand, ideal for watching your favorite movies on your phone during those long car journeys. Priced at a reasonable €29.99, the Kenu Airframe + is available from our website. Order now to avoid disappointment!